With the exception of one (asclepias), all of the seedlings that I started indoors this spring have transplanted well to the outdoors. I am especially excited about all the perennials that I started indoors. Each spring when some of the perennials from the year past don't return, I buy a few new perennials to fill in the gaps. It isn't always easy though to find some of the plants I am interested in, but the perennial seed selection from Earth's General Store is great, so I plan to shift over to home started perennial seedlings to increase the variety of plants that I can grow. The other great benefit of starting seedlings is that it is MUCH cheaper than buying the established plant! 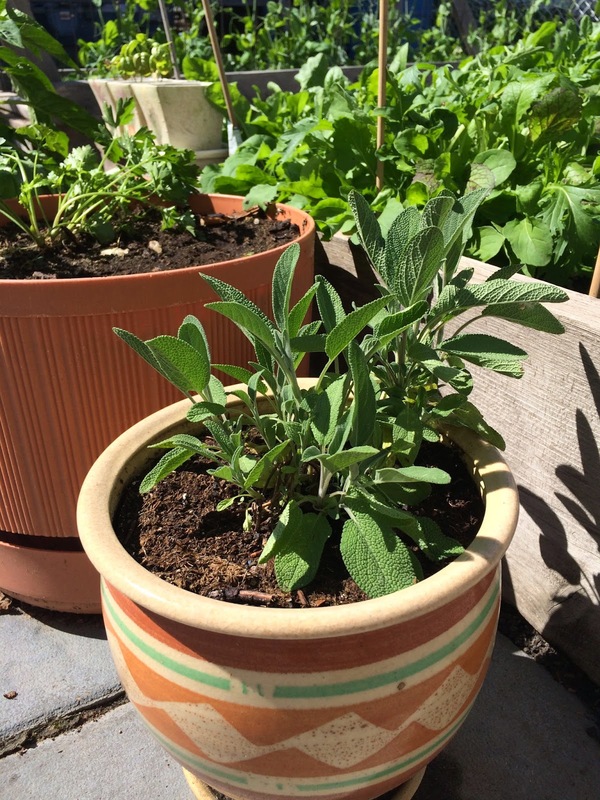 Of the culinary herbs that I started indoors, the sage (above picture) has taken off the most! 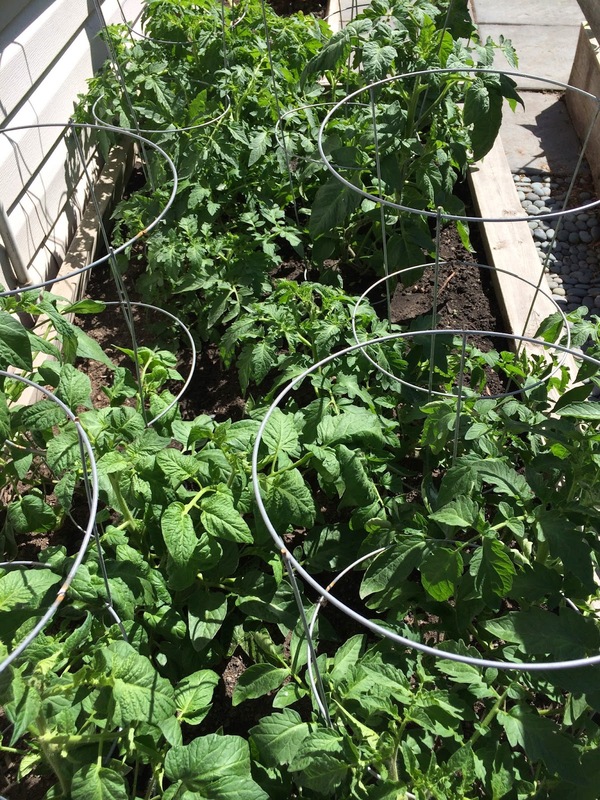 Last year I had a tomato jungle and bumper tomato crop from the tomato plants I bought from the Vriend table at the Strathcona farmers market. I am hopeful the tomato seedlings (above picture) will follow in their path - so far, so good! 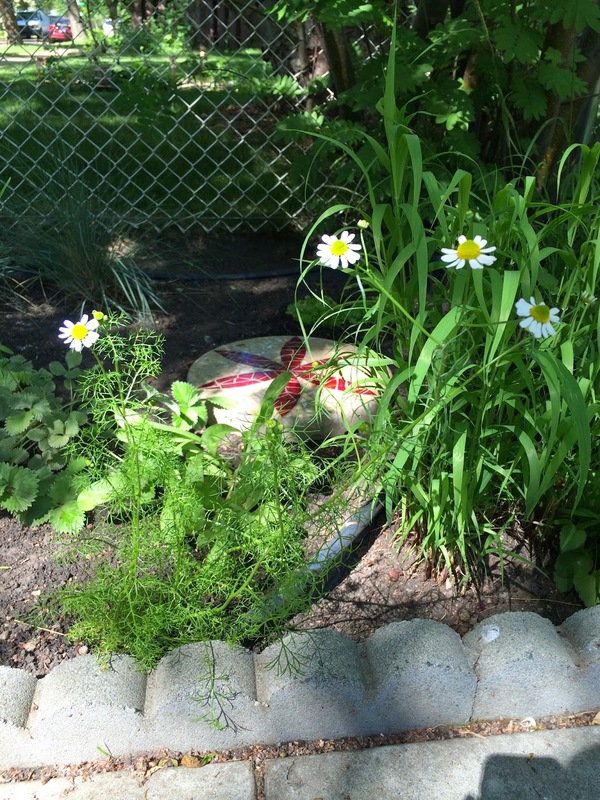 In the past, I have bought chamomile plants, but they have never been happy with me. 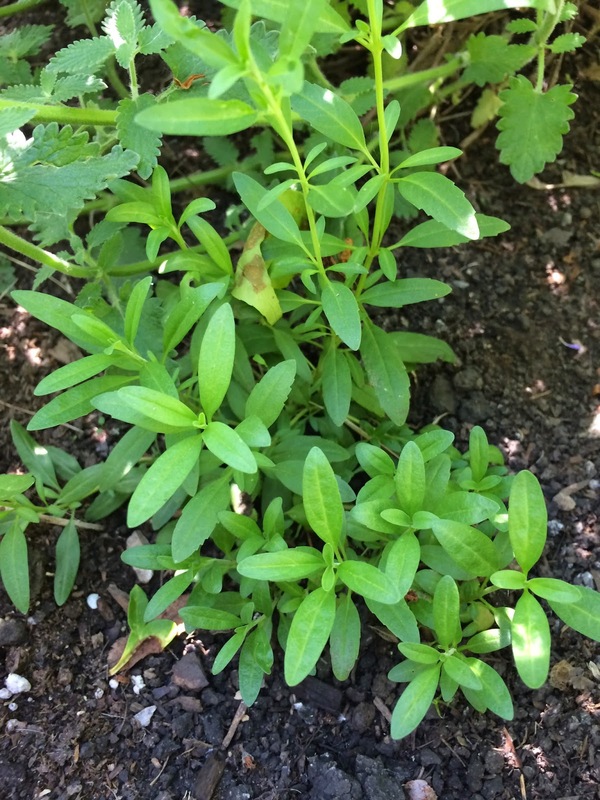 The chamomile seedlings (above picture) have taken off and are really shining out! 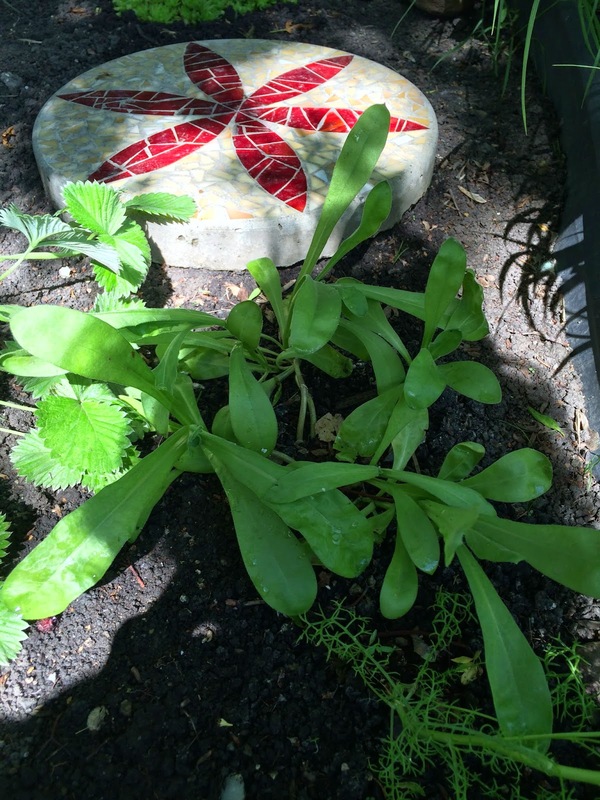 The calendula seedlings (above picture) are doing great as well! The borage seedlings (above picture) are also becoming well established and look like they will flower soon. 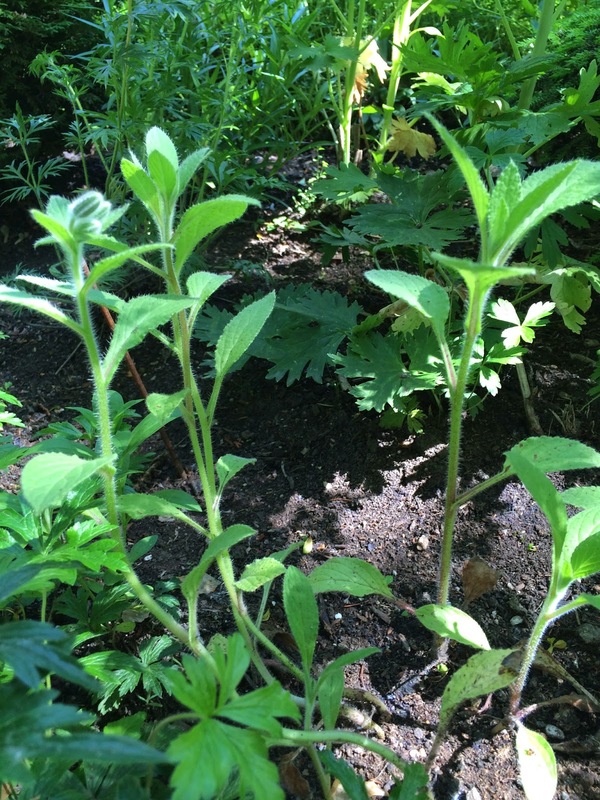 I used to have a good sized lemon balm patch, but it died out over time. 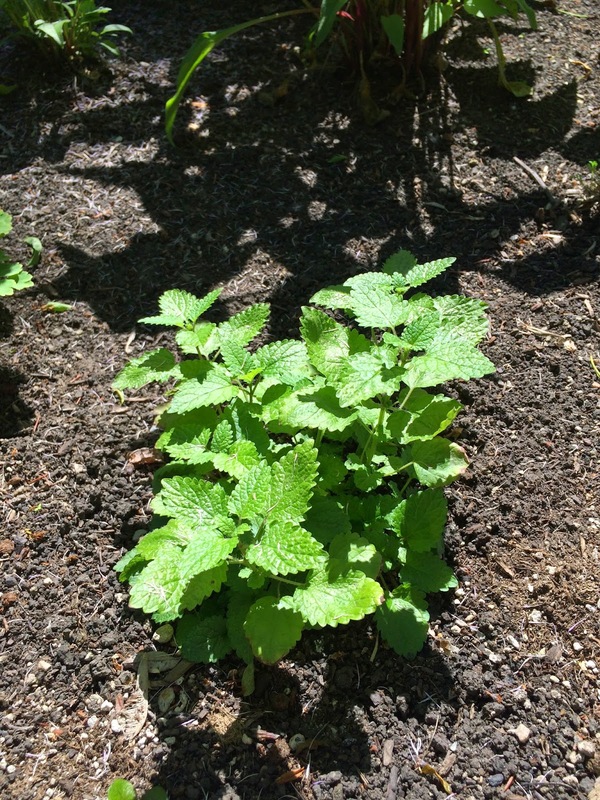 The lemon balm seedlings (above picture) will have lots of room to stretch out and hopefully they will return next year. I planted the hyssop seedlings (above picture) in a spot where the perennial beside it didn't look like it was going to return this year. It did though, so the hyssop is in a bit of a tight spot, but it is growing well.